Dean Markley 2004 Vintage bronze guitar strings offer clarity and tone! 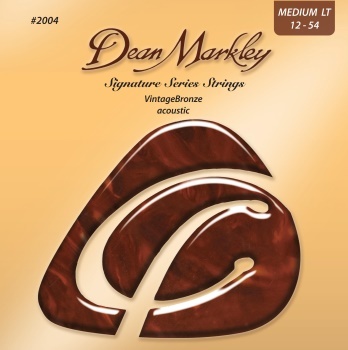 The first and still the finest -- Dean Markley VintageBronze Acoustic Guitar Strings now sport tarnish-resistant individual envelopes and environmentally friendly packaging. VintageBronze strings give you clarity, tone, and response like no other guitar strings. Add a great feel and long life, and there's not much more you could ask for, is there?